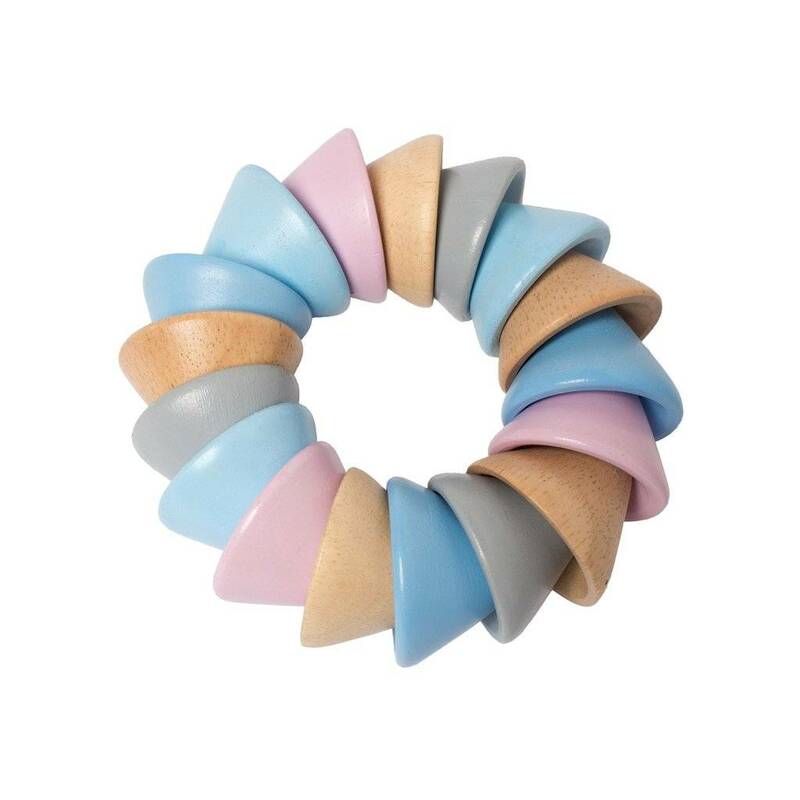 Made of pastel colored wooden cones strung together by an elastic cord, this wood teether ring is made with non-toxic water based finishes. 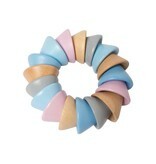 Soft edges are perfect for teething. Iintroduces gross motor skills such as grasping and reaching.